Nearly everyone feels “stuck” at some point in their life. They know where they currently stand, and they are aware of where they hope to be, but seem to be trapped someplace in the middle with no idea of how to move forward. Unfortunately, not everyone is trained, insightful, or objective enough to offer the best advice. That is why YOU exist. 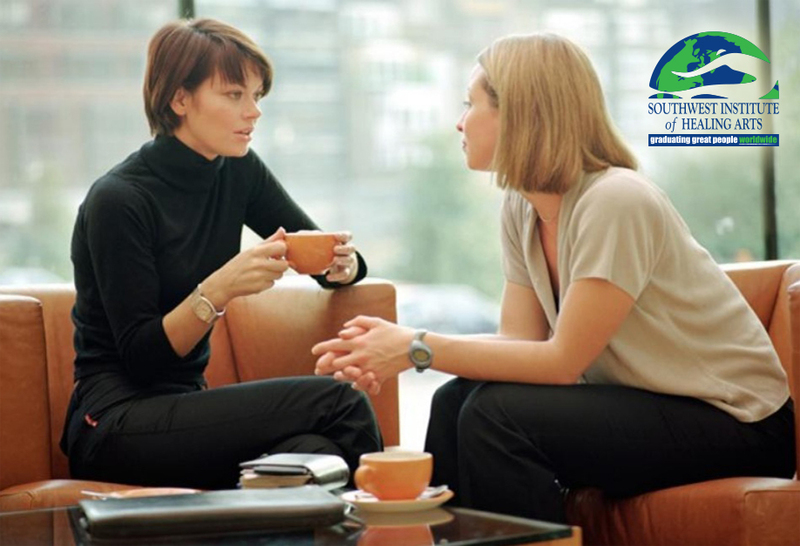 At Southwest Institute of Healing Arts (SWIHA), we offer a comprehensive 100-hour Life Coaching program online that explores all of the core competencies as outlined by both the International Coach Federation (ICF) and the International Association of Coaching (IAC).† Our interactive online classes feature professional, instructional videos, compelling and informative lectures, invaluable and leading edge readings, as well as open discussion forums, all presented with dedicated instructor guidance. You will have the additional option to enroll in our Holistic Entrepreneurial Business Suite, in which you will master professional communications, marketing, and gain the tools to design and build your practice. Life Coaching is an ongoing partnership in which clients have a unique opportunity to deepen their awareness, improve their performance, overcome obstacles, and enhance their quality of life. Our philosophy is that each person holds the answers and solutions they seek within themselves. They simply need someone like you to help them access those thoughts and feelings. As a coach, you will use deep, powerful questions, rapport building, work with metaphors, and more to propel your clients out of a state of stagnation into forward action that brings about positive life changes. With the greater focus and awareness of choice that you instill in your clients, achievement of life goals is accelerated. At SWIHA, we have a passion for helping you follow your heart and realize your dreams. We are committed to helping you fulfill your divine purpose, so that you may go out into the world and help countless others to do the same. Our Success Center is dedicated to providing our graduates with ongoing job placement assistance, entrepreneurial and career coaching, resume assistance and more. We also list our graduating Life Coaches on GreatGraduates.com, our online directory of graduates and instructors for those looking for practitioners. In addition, you may get yourself listed on the US Life Coach Association (USLCA) directory to further increase your business exposure. †SWIHA is not affiliated with the ICF and IAC. Please contact these organizations for information on their optional certification and membership programs. SWIHA is a nationally-accredited college approved by the United States Department of Education. Students enrolled in programs of 600 hours or more may qualify for Federal Student Aid in the form of Pell grants and student loans.Title IV Financial Aid is available to those who qualify.